Deciding to set up a compact home gym and working out what is needed involves a range of quite important considerations if you are going to achieve the best home gym for your needs. You will need to be clear about what you are trying to achieve, where you are up to in your training, and what training and equipment might work best for you. What kind of training are you going to do? Training at home versus training at a gym. Designing a compact home gym to fit your requirements. Click the item in the table below to skip to the most important issue for you, or go ahead and read all of the article. 2 Training at the Gym versus Training at Home. 3 So Who Should go to the Gym and Who Should set up a Compact Home Gym? 4 What are the Requirements for a Good Compact Home Gym? 6 Suggested Startup Requirements for Your Compact Home Gym. 6.1 Compact “all-in-one” Equipment for Efficient Fitness Training. Next time you are in the gym, have a good look around you. You will see people who are using the wide range of equipment in quite different ways because they have different purposes. Why are you in the gym? Is it to change the way you look, to improve your overall health, to increase your strength, flexibility, speed or stamina or to build extra-ordinary muscles? You could be there for all of those reasons, and the instructors would design a program to enable you to use the equipment to meet your different objectives. Often it would be the same piece of gym equipment but used in quite different ways to achieve different objectives. Before you think of buying any equipment for home use, you need to understand the difference between training for fitness and working on body building. The more you are clear about your main training objective the easier it will become to select the best compact home gym equipment. Building Bulk or Fitness Training. body shape, and muscle tone? Training at the Gym versus Training at Home. Are you an at-home person, or are you drawn to social settings? For some, the visit to the gym is not just about getting some exercise, it is about seeing and being seen. What is the point of being in great shape if you can’t be admired in your gym gear? For others, struggling to get an out of shape body into better condition brings with the awkwardness and potential embarrassment of being seen in a less than favourable way. These are important issues in weighing up whether to set up a compact home gym, or continue the gym membership for another year. 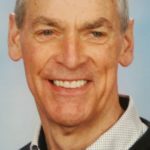 They are not necessarily the most important factors determining whether your training will be successful, but they will have a significant bearing on your final decisions. The following list of advantages and disadvantages will help your decision making, but the priority you give to each factor will be quite personal. The process might also help you work out your thoughts on fitness training versus bodybuilding. You can attend your home gym at any time of the day or night, every day of the year. When the weather is uninviting, time is short, or it’s a special holiday and the gym is closed, you can continue your training without a break. No need to arrange a baby sitter, remember to take the gym gear to work with you, or tackle traffic and parking issues. In fact, no need to have the special good looking gym gear clean and ready every day. I am sure you can add many other convenience factors for yourself. Gym membership is expensive and never ending. Apart from initial setup costs, owning your own gym equipment is going to save you a lot of money over time. Startup costs don’t have to be high and the money you save on monthly membership can be put towards gradually building up the range of equipment that suits your needs. Once it’s done there are very few ongoing expenses. In your compact home gym you can have the comforts and conveniences the way you want them. The music is your choice, and with a good sound system, without the bother of head phone cords being caught in the equipment. What’s even better, you can grunt, groan, sing along, even pass wind, without ever having to put up with disapproving looks or comments. And you can choose whether you want mirrors where-ever you look. You also have the benefit of making your own rules, such as having no rules. Going to a gym always involves a substantial amount of time that is not engaged in actually working out. Leaving the house or work to get to the gym, getting your gear and your locker organised, talking to other people, waiting in line for a piece of equipment, getting cleaned up and back to home or work all adds to the time needed to get some training done. In your compact home gym none of this extra time is required. This gives you more time to actually exercise. You also get the advantage of choosing the time of the day that most suits you, not when the gym is open, or there is the least crowd. Requiring less time to be ready to train, and at any time you choose, most often results in more and better training. In your own space, you are not being distracted by other gym users. This provides the opportunity for concentration on each exercise. Clarity in purpose with few diversions leads to higher quality training and better outcomes. Your local gym is always going to have more equipment than your home gym. A wider range of equipment gives you greater choices for each training session, and a range of options for how you might reach your fitness objectives. 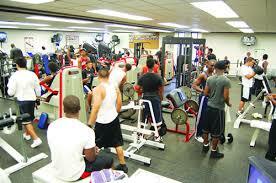 Access to personal trainers, classes for group interaction and formal instruction are all helpful aspects of the gym. This is important when you are starting a program, and very helpful in understanding how to use equipment and set up the best program. Being amongst others who are wanting to achieve the same fitness objectives can be great for maintaining motivation and enthusiasm. Having others around is also important at times for safety, particularly when you need a spotter for free weights. Extra facilities such as towels, cold water, shakes and supplements make for an easier fitness session and are all on hand without you having to stop training to prepare your shake. The initial setup costs can be high for a comprehensive home gym, but you can start small with equipment that suits your highest training priority. This may be a little frustrating for awhile, but you are in control of your costs. A home gym, whether small starting equipment or a full multi-purpose all in one workout machine, the equipment requires space. You will have to sacrifice some of your home space to gain the benefits of equipment for fitness training at home. This may require negotiation with your partner, and hopefully agreement and support. The local gym has a room temperature kept fairly constant by air-conditioning so that exercises can be done in comfort. This may not be easy and require free standing heaters and fans, all extra costs. Successful fitness training requires persistence and commitment to achieve the desired outcomes. At the local gym, talking to and watching others exercising can be motivational and keep you on track for success. Training at home on your own can be a bit isolated, and you have to find your own motivational strategies. All the equipment, while promising variety and options in training programs, can also be distractions. Trying the next machine may be interesting, but consistency around the most effective movements is going to get the best results. Where there are many people, there must be rules and requirements in order to give everyone a fair go at use of equipment, facilities and services. These rules may be reasonable and even helpful, but where there are rules there will also be people who ignore or disregard the rules. If that annoys you, you won’t like a gym some days. Unless you go to the gym in that rare hour of the night when everyone else has gone home, you will spend some time waiting for your turn. At that hour, it’s quite likely the staff have gone home too. Do you wash your hands a lot at the gym? Perhaps you should, because you will be sharing a lot of body fluids. If you are all working hard, you are all sweating hard. Where does it go? A lot of it stays on the equipment waiting for your turn. In flu season, you are all sharing a lot. So Who Should go to the Gym and Who Should set up a Compact Home Gym? The answer is very personal. Many of the issues and pros and cons have been set out for you but the way you view each pro or con is quite individual. Thinking about the issues should however, lead you to a clearer vision of whether you are a gym person, or the potential owner of your own great home gym setup. In most cases, the disadvantages of a home gym can be overcome or reduced, with the convenience of being at home outweighing the benefits of the gym. A cautionary note. 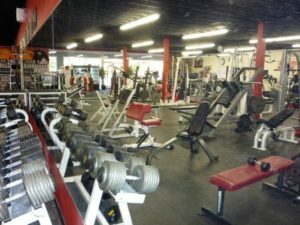 If you are just starting out on a fitness training or bodybuilding program then the gym is a good safe place to start. Learn how the equipment works and what is best for you from the trainers and skilled people at a gym before you set up your own equipment at home. You need to know the risks and dangers when there are others around to help and keep you safe before you are training by yourself in your own private place at home. What are the Requirements for a Good Compact Home Gym? 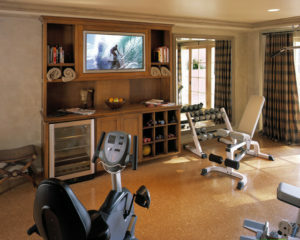 The most important setup requirement is space that you can dedicate for your exclusive use for your home gym. It doesn’t have to be a large area, just enough for the equipment you decide on and uncluttered space to train with it. The space you have will determine the equipment you purchase and the fitness program you set up. This goes with space. There is always more and better equipment to install, but in a home setting, space is not endless, and you want equipment that does not get in the way of space to move and exercise. Equipment that is not too bulky and hard to store, and is used as a regular part of your program is the highest priority. If you are body building, you may require more space, but your compactness can be achieved by installing machines that are multi-purpose, and enable you to do a variety of training activities in the one space. The floor of your gym needs to support and assist your comfort and convenience. A carpet would be comfortable but get worn and dirty in key work areas very quickly. Timber floors would be easier to clean, but would get damaged very quickly and may become slippery where your efforts have produced suitable amounts of sweat. Cement floors would be durable but cold in the winter and unforgiving if you slipped and fell. The floor problem is easily dealt with however. Once you have determined your space, there are excellent floor mats that would give your training area a great base to build on. Your own home gym can be a great fitness training facility with all the advantages and convenience of it all being under your roof. But before you embark on the design a purchase of your training you need to be clear on the type of training you will mainly undertake. Body building is quite different to fitness training and will require different equipment and space. If you are a body builder, you will already have a good idea of the equipment that works best for you, and also have a good idea of what you want in your home gym to develop your individual program. Suggested Startup Requirements for Your Compact Home Gym. You won’t need all of this equipment at once. 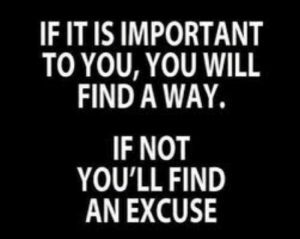 Your training program will guide your priorities. Each suggested item is linked to an example of equipment options you could choose from according to your budget and preferences. Compact “all-in-one” Equipment for Efficient Fitness Training. Multi-purpose gym equipment provides a wide variety of training options built into the one machine, co-ordinated in a compact space. These all in one machines are specifically built to provide maximum training options a small home space. Follow the link to see an excellent example that could fit your space, training and budget requirements. A final note of encouragement. The best equipment you can buy, and the classiest compact home gym you can set up, will not make you fit and body beautiful. Success with your training will come from motivation, persistence and perspiration. I wish you lots of all of them, and great success in your own compact home gym.